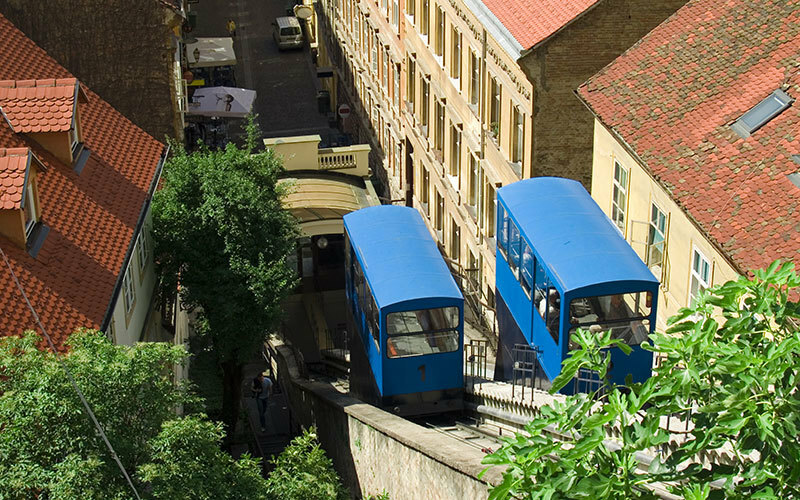 Zagreb Funicular is not only the shortest funicular in the world but also the oldest and first means of public transportation in Zagreb. Some may say there is no point to it, but that is also the fun of it! TIP: SOME REFER TO IT AS „THE OLD LADY“. RUNNING FROM THE 1890s, ZAGREB FUNICULAR IS THE SAFEST. SEEING THAT IT NEVER HAD AN ACCIDENT. FREE WITH ZAGREBCARD. Zagreb Funicular is a lot of things! Being only 66 meters long, it is the shortest funicular in the world. 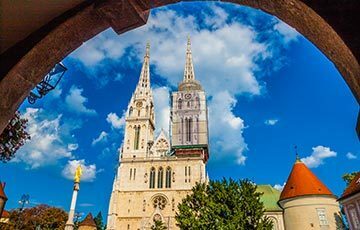 It is the oldest and first means of public transportation in Zagreb, dating back to 1890s. Recently, European Best Destinations elected Zagreb Funicular as one of the most beautiful in Europe. Finally, a point often overlooked, it is the safest! Zagreb Funicular never had an accident in its centuries-old existence! 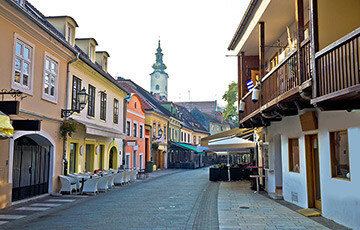 But its primary purpose is linking Lower Town (Donji grad) and Upper Town (Gornji grad). The ride takes about a minute and it departs every 10 minutes from 6:30 AM till 10 PM. It costs only 4 HRK. Zagreb Funicular one of the most important symbols of Zagreb! It is protected cultural monument since it kept its original structure and appearance. First, it was steam-operated and sometimes needed a little push. The wagons were divided into three. The front parts with best views were for first-class passengers. Whereas the middle part was for the common people. The fun story is how the funicular got its funny nickname “Zapinjaca” (Stucker). It is because sometimes passengers had to literally push the stuck wagons. As the steam engines were not reliable they were replaced with electrical engines in 1934. The original engine components are kept in Zagreb Technical Museum. Lower Town station is located on Tomićeva street, a short stroll from ban Jelačić Square. Whereas the Upper Town station is under Lotrščak Tower at Strossmayer promenade. Every day from 6:30 AM till 10 PM. The funicular departs every 10 minutes. The funicular ticket is also a valid ZET tram or bus tickets. Tickets can be bought by the driver or at any newsstand. 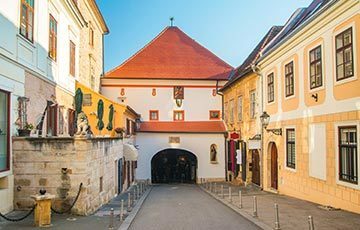 What to see and do in Zagreb Funicular? Zagreb Funicular might be referred to as an operating museum exhibit. It is beautiful and well preserved. 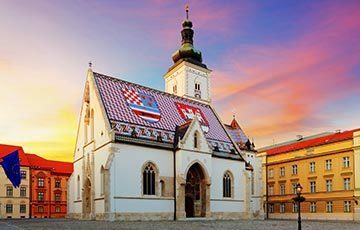 In fact, to us, it is the most charming symbol of Zagreb! The funicular might not have a true purpose, being 66 metres long and about a minute ride. Perhaps you would be quicker going on foot. But take it for the fun of it! On top, you will see great views overlooking the whole city. 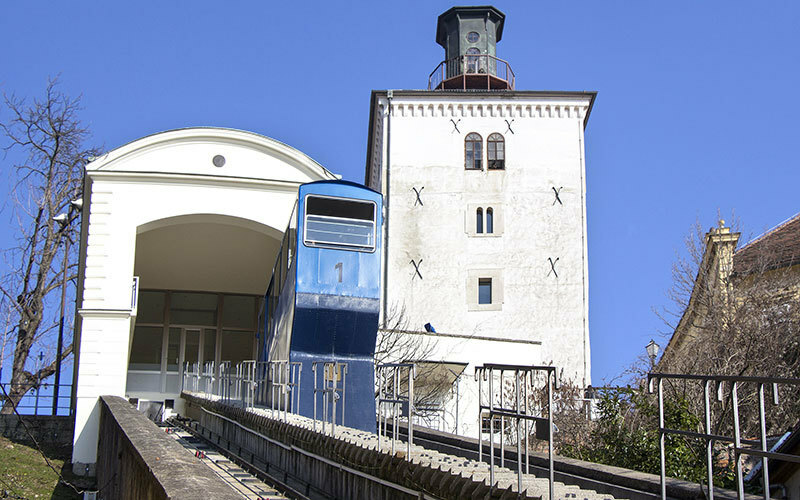 The Zagreb Funicular is equipped with a hydraulic lift platform and an access ramp. 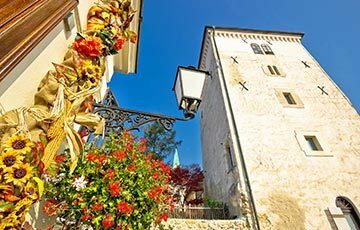 As such it is a great option for visitors with disabilities to reach the Upper Town. 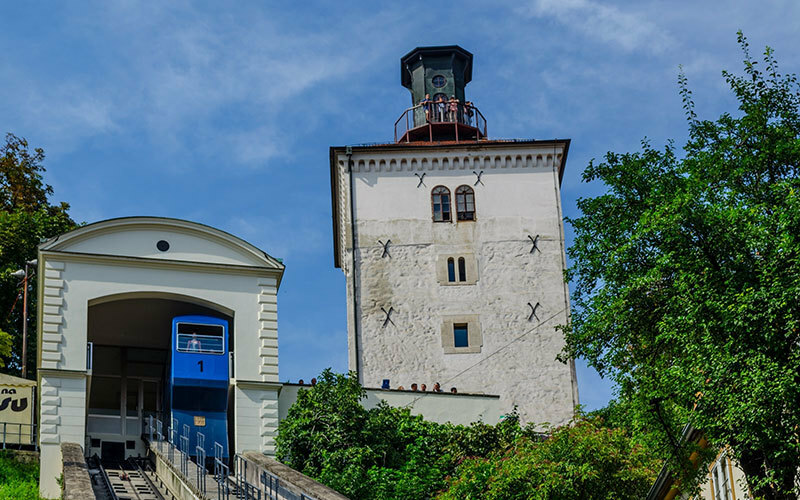 How to find the Zagreb Funicular? The Upper Town station is under Lotrščak Tower.